I’m excited to be collaborating with The CFDA again this Ready-to-Wear, fall 2016 New York Fashion week. 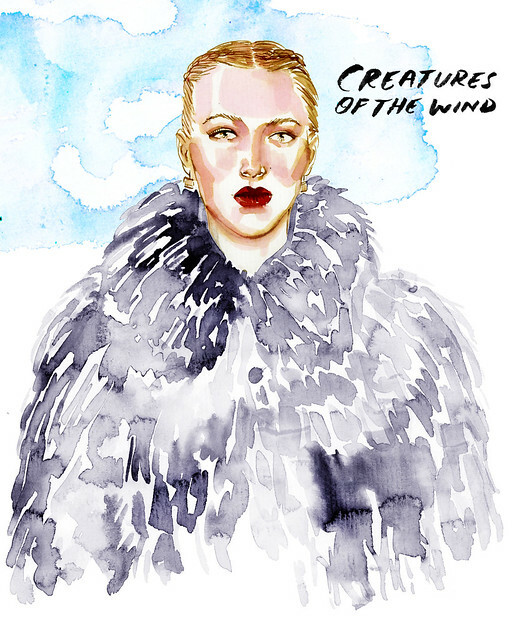 I kicked things off by illustrating this amazing coat by Creatures of the Wind. How great is her braided hair and matte red lip?! Follow along each day here, on their instagram and mine.